The Health Insurance Portability and Accountability Act (HIPAA) went into effect on April 14, 2003. The privacy regulations are designed to protect the privacy of a patient's personal health information (PHI). Covered entities include: health care providers, third parties who pay for services, third parties who provide services to health care providers and workers' compensation attorneys prosecuting or defending litigation. In order to use or disclose protected health information for any purpose other than treatment and payment of treatment, covered entities must obtain an authorization from the individual allowing the use or disclosure. The authorization must meet the requirements of the privacy regulations. HIPAA also permits the disclosure of PHI to a person with legal process (i.e. court order, subpoena, or discover request). However, the person whose PHI is sought must be given notice of the request. 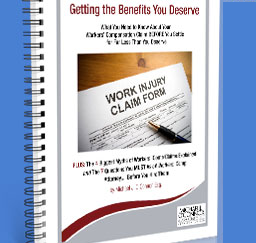 The HIPAA regulations contain a special exception for workers' compensation cases. The regulations state that a provider may disclose information to the party responsible for payment of treatment as required by state payment provisions without written authorization or notice. The workers' compensation attorney team at Michael J. O'Connor & Associates is ready to begin tackling your legal problem today. Email or call our toll free number at (800) 518-4LAW for a free initial consultation and review of your case.